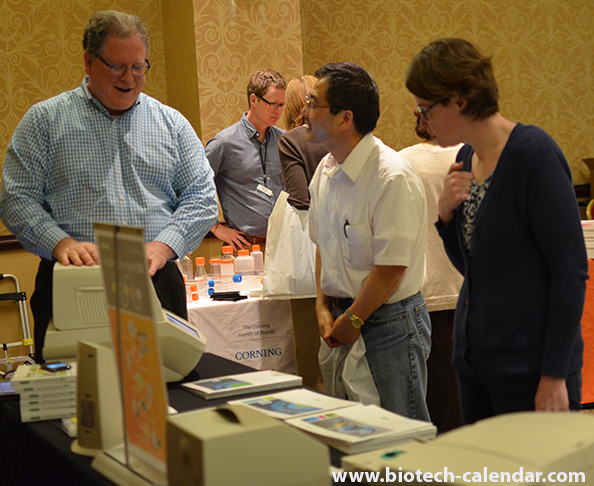 All PI's, lab managers, researchers, purchasing agents, professors, grad students, post docs, and other lab staff in Rochester, MN are invited to attend the 10th Annual BioResearch Product Faire™ coming up on Thursday, May 21, 2015. The BioResearch Product Faire™ Event in Rochester, MN gives researchers the chance to meet face-to-face with sales reps from a wide variety of lab supply companies to discover new products that are available to use in their labs and help further research in a small, professional environment. Researchers are invited to take a break from their research and come out to the event to see what's new in the world of life science supplies, get their questions answered, and learn about new tools and technologies available. All those who attend will also enjoy a complimentary lunch buffet throughout the event. At the event, researchers from all departments and buildings related to life sciences will be able to learn about new products from different laboratory supply companies. Instead of traveling door-to-door and interrupting your work, sales reps from different companies will be in one room, making it convenient for you to speak with them on your own time. 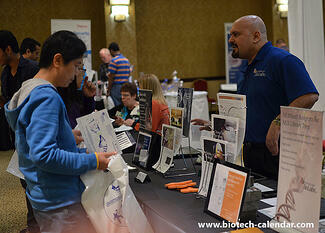 Researchers learn about new products at the 2014 9th Annual BioResearch Product Faire™ Event in Rochester. SAVE THE DATE: Thursday, May 21st, 2015 from 10:00 a.m. - 2:30 p.m.